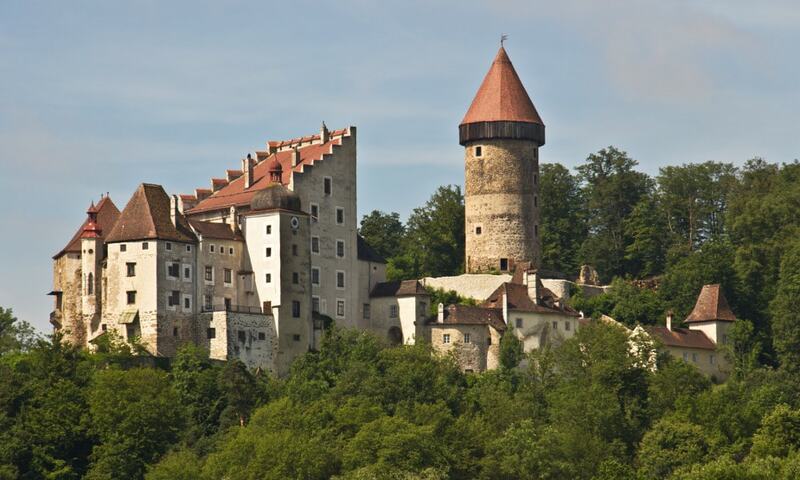 Burg Clam was built in 1149 by Otto von Machland who owned all of Upper Austria. At that time it was a fortress consisting of two towers over 30 meters high. These two impressive buildings, one round and one rectangular, still exist in the very same shape today. During the middle ages the castle changed hands several times until in 1454 the forefathers of the counts of Clam arrived. During the 30 year-war the Clam family had their own private army to defend the castle. At the end of the war the castle was in a very bad condition. It was Johann Gottfried of Clam who renovated the entire castle. He was able to transform the functional fortress into a comfortable castle as we see it today.